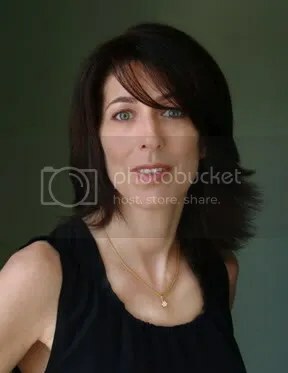 You are currently browsing the tag archive for the ‘Wendy Goldstein’ tag. As one of the most powerful and accomplished women in the male-dominated music executive circle, Wendy Goldstein has signed, developed and made stars out of Common, Chingy, The Roots and Mos Def, among many others, while holding top positions at Capitol, Geffen and EastWest Records. Now, the Brooklyn-bred, Los Angeles-based music maverick has established her own Omerta Management company. Below, our Exclusive Interview with Wendy. FUSICOLOGY: How did you get started? WENDY GOLDSTEIN: I was a DJ at clubs all over New York City when I was 18 and 19 and ended up hanging out with A&R people, including the A&R Director at Epic Records in the mid 80’s. Their secretary quit so I took her position at 19; Besides publicists, the industry was very male dominated. FUS: What have been you experiences as a woman in the industry? W.G: Women have made a lot of strides, but on anther level, for every woman who broke through, she had to have tough skin to play with the boys. Back then, Human Resources was not an option. In todays world, people would be fired for some of the ways they treated women back then. FUS: How do you see the future of the music industry? W.G: I see huge changes with us going back to smaller boutique companies, where the power lies. FUS: What is in store for your future with Vista Music Group and Omerta Management? W.G: My heart lies with the conscious rap investing time in real talent. Omerta Management works with Producers like the Underdogs who are doing big records. We have signed on a bunch of producers underneath them a la Motown. I manage other artists like Stank who is Snoop’s artist – I like smart people with good energy. I also just launched a label, the 1st record is with Stank, who is being compared to Jeezy. Next month the single will go to radio. Thank you to Wendy for her time and insight and The Room Service Group for hooking up the interview.